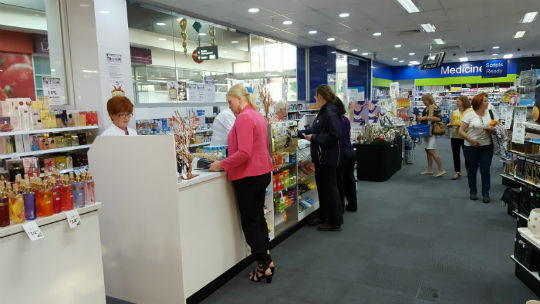 Grab your Christmas colouring in sheet from either PharmaSave Eden Rise or Berwick Pharmacy for your chance to WIN. There will be one winner for each age group: 3yrs—5yrs, 6yrs to 8yrs and 9yrs to 12yrs. Return it to either PharmaSave Eden Rise or Berwick Pharmacy on or before Thursday 16th December 2016. There will be a small surprise for each child handing in their picture. If these are handed in at Berwick Pharmacy on 10th December between 11am and 2pm each child will receive a balloon creation from CON the Balloonist who will be in the shop to entertain the children on this day as part of the Berwick Christmas in High Street. Gallery café will be open to 3pm with a special “Kids” menu. All colouring ins will be displayed in the respective stores until judging on Thursday 22nd December at 11am. Thank you to everyone who attended our Gala Christmas event on Thursday afternoon and night. 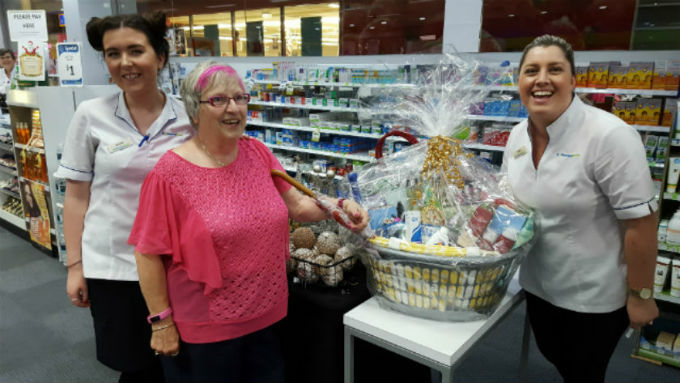 Lucky Norma (an Eden Rise local) won the huge hamper donated by Eden Rise Pharmacy and wow was she excited. “I think I’ve now done all my Christmas shopping, I’ve got enough here for everyone” she said. Congratulations Norma, it’s fantastic to see such a lovely person win our prize! Approximately two-thirds of Australians will be diagnosed with skin cancer by the age of 70. In Australia in 2016, it is estimated that 13,283 new cases of melanoma skin cancer will be diagnosed. As summer approaches, these statistics should serve as a wake-up call to all Australians about the importance of sun protection.